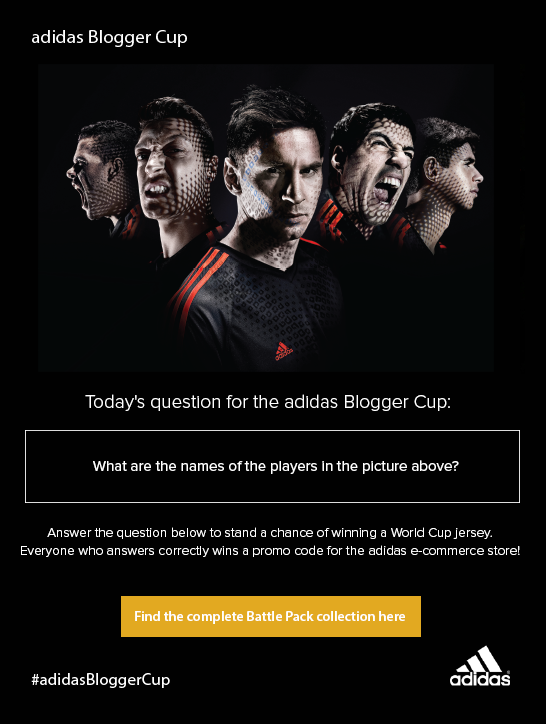 As some of you might already know, www.ruxyn.com is part of the #adidasBloggerCup campaign. Every Tuesday and Thursday in the next few weeks, I'll post up a question here and you just need to answer a simple question to win really cool prizes from Adidas! Last but not least, remember to submit your answers in the app below. Please enter "www.ruxyn.com" as the blog you are entering from. Cheers! All the best everyone! Come back on Thursday for question 3!